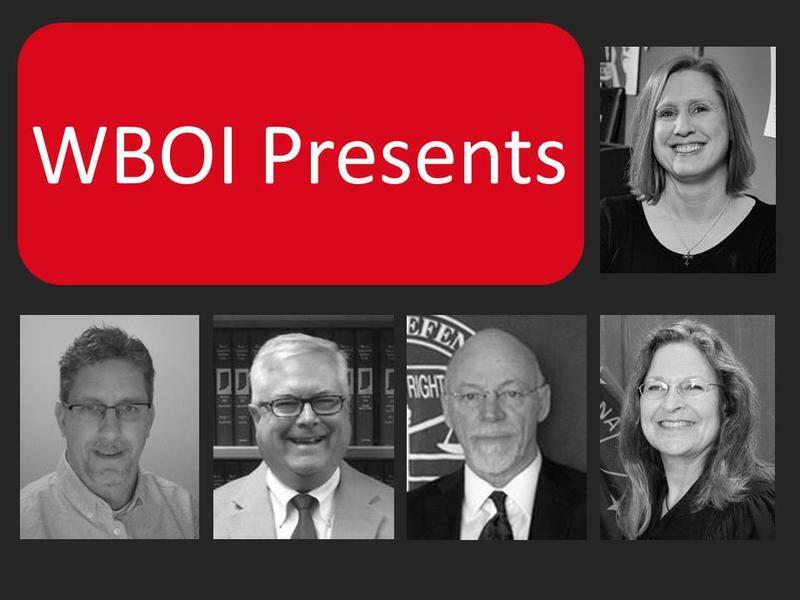 Tonight on WBOI presents, we’ll be broadcasting a panel discussion examining the public defender system in Indiana, and the panel was moderated by WBOI's Rebecca Green. Who funds the public defender system? If you’re arrested and need a public defender, what does that process look like? We’ll have the answers to these and many other questions tonight on WBOI Presents. The panelists are Allen County Superior Court Judge Fran Gull, Allen County Chief Deputy Prosecutor Michael McAlexander, Larry Landis, Executive Director of the Indiana Public Defender Council, and David Carroll, Executive Director of the Sixth Amendment Center.